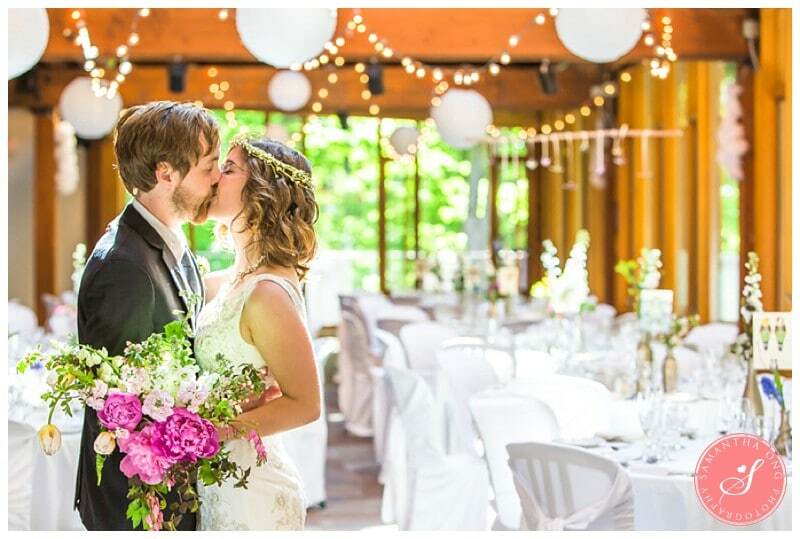 I honestly love cottage weddings and just can’t get enough of them! For Jess and Spencer’s wedding, it was so special to have her weddings at her family cottage as this was where she grew up. This cottage was beyond spectacular. There was nothing ordinary about it. 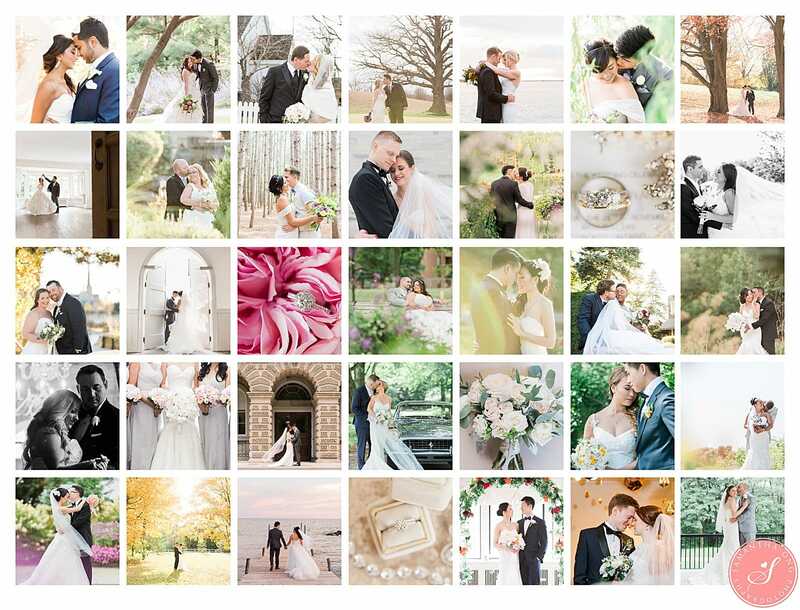 So excited to share these Creemore cottage wedding photos. Jess’ family estate sits on a hill in Creemore, Ontario and in the summer is beautifully covered with green ivy. This provided for a stunning backdrop for when we photographed their first look! Jess style was gorgeously effortless and I loved how naturally beautiful they kept their wedding with the use of handpicked wild flowers for their centrepieces. Spencer had coordinated florals on not only on his bow-tie but his shoes too! Too cool! The back of the house overlooks northern Ontario and it’s vast green fields. In the backyard, they had installed a small pond with a dock just for the wedding and was just the perfect place for Jess and Spencer to share their vows in their ceremony! (Btw, did you see their ceremony arbour – so pretty!) Photographing their wedding in this Creemore family cottage was such a dream. I just love open fields, long grass and lots of trees. Jess’ family estate had plenty of that! Jess and Spencer’s wedding was attended by close family and friends. As the wedding was entirely held outdoors, it had such a relaxed vibe. 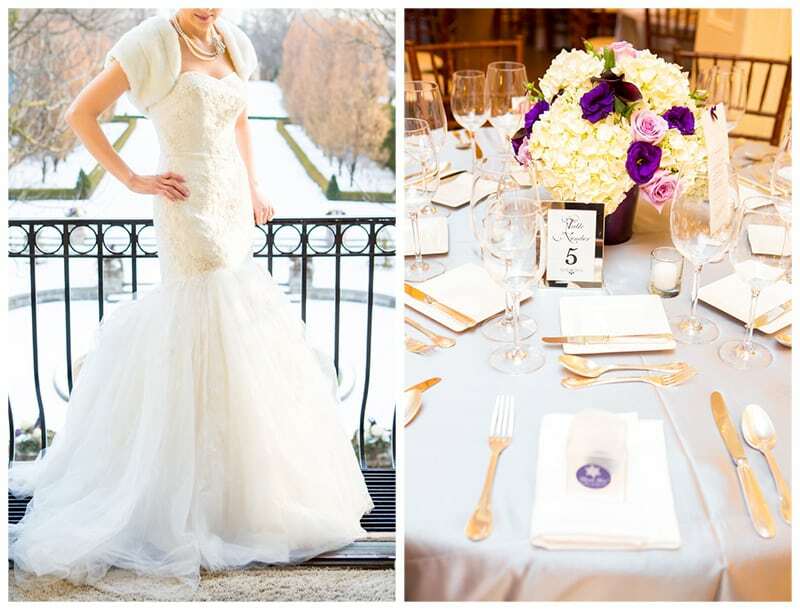 We were so lucky that the weather was just right as well – it was really just the perfect day! 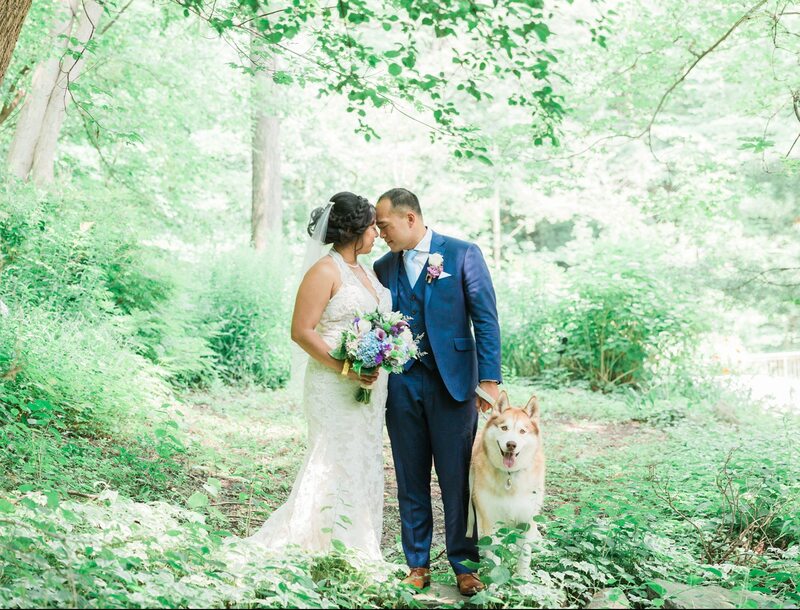 Jess and Spencer’s wedding proved that a cottage wedding is so dreamy and when you have a stunning venue, you just can’t go wrong with anything else. A huge congrats to Jess and Spencer on their wedding day!